I didn’t expect this blog post to be so difficult to write. I knew I wanted to write about Mental Health Awareness, but I didn’t know how to approach this article… and not because I feel like I don’t have a voice in this battle. I know I have a voice, a story, and a passion about mental health… but how on earth do I put words to the ache in my heart? I fought depression on and off from 11 years old to 28 years old. I am only 31 years old. I struggled with anorexia in middle school, late in college, and then briefly after having my second child. Depression has been a part of my life more often than not. Depression is what stole my childhood. Depression is what stole my motherhood for the first 4 years of it. Depression stole my identity for so long. I believed the lies it fed me for far too long. The lies of You’re not good enough. You’re not worthy of (Fill in the blank/literally anything other than pain). You’re not loved. This month, and every month, I stand with those of you affected by mental illness: depression, anxiety, eating disorders, bipolar, schizophrenia, you name it. I stand with you, I will fight for you, and I will pray endlessly that you hear God’s truth, and not lies. Even though I had studied for years about psychology and have a Master’s Degree in Clinical Psychology, it took my husband to convince me to get help. I was in such a dark place after we had our third child… I went to counseling, I took Zoloft for a while, I continued studying and found Dr. Caroline Leaf’s work from my counselor’s suggestion. (If toxic thoughts are running your life, I highly recommend her book Switch on your Brain). Before we got pregnant with Sarah, while working with my doctor, I weaned off of Zoloft. I started using some holistic measures in place of it (and still do), and after having my fourth baby I didn’t struggled with postpartum depression. I don’t know if you can appreciate the magnitude of that sentence… for the first time in YEARS I didn’t have to battle my mind while caring for my children. Sure, I still dealt with those raging hormones the first couple of months, but I felt the JOY of motherhood that I had only heard about from other moms. To this day I don’t have to take Zoloft, and I no longer have to fight the daily fight to chose life and not death. I want to provide hope. If you’ve been struggling with mental illness for months, years, or decades… there is hope. I know, please trust me I know, sometimes it feels helpless. I have many memories of crying out to God begging him to just take it away. I am incredibly thankful He provided me with a solution for my body and emotions. 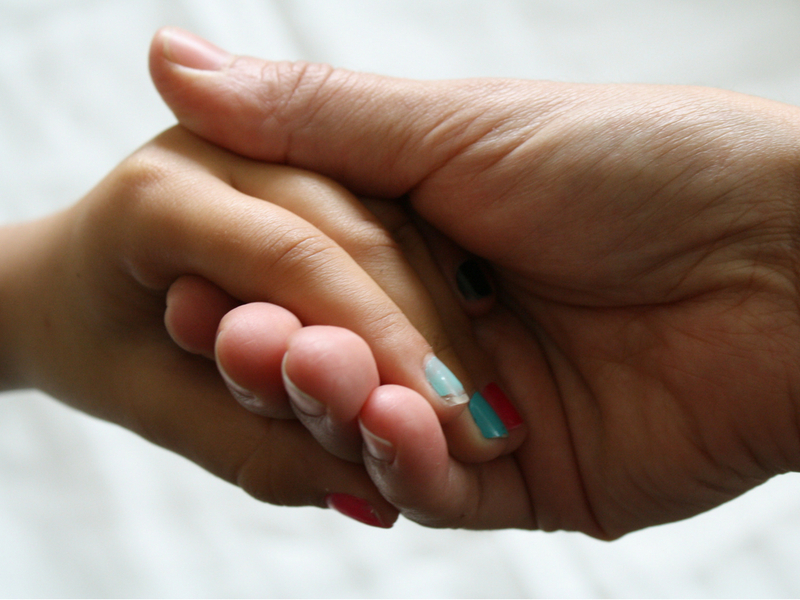 I want to encourage you to continue to seek help and healing. Reach out to your loved ones. Know that you are loved, wanted, valued. Go to counseling. Provide your body with solid nutrition, exercise and supplements. Feed your mind with positive thoughts and emotions. Surround yourself with loving people and influences. Believe in healing. Cling to hope. Happy February! 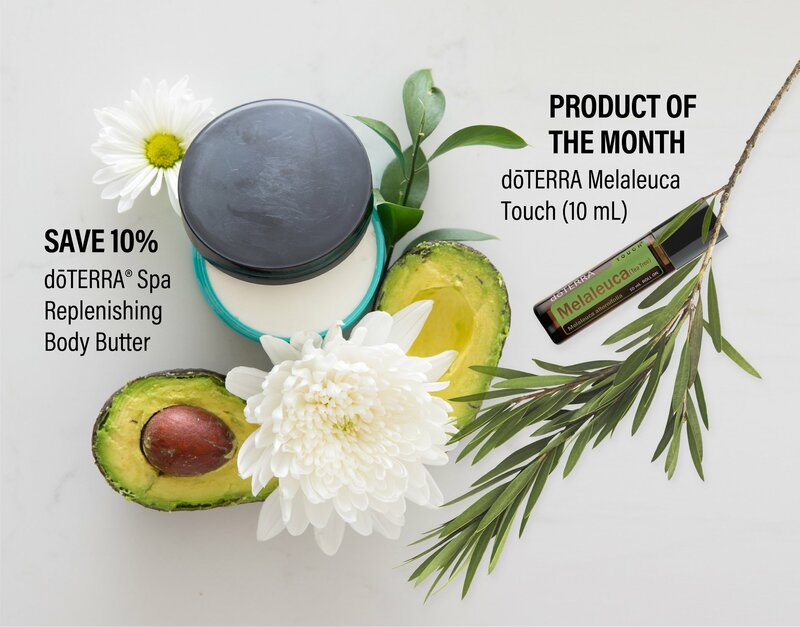 I know we are well into the month, but have y’all seen doTERRA’s February promotions yet? They are pretty sweet, and I’m here to tell you all about them. Let’s get started. Did you know that doTERRA offers a FREE Product of the Month, every single month? All you have to do is place a qualifying Loyalty Rewards order, and this product will automatically be added to your cart. No promo code needed. 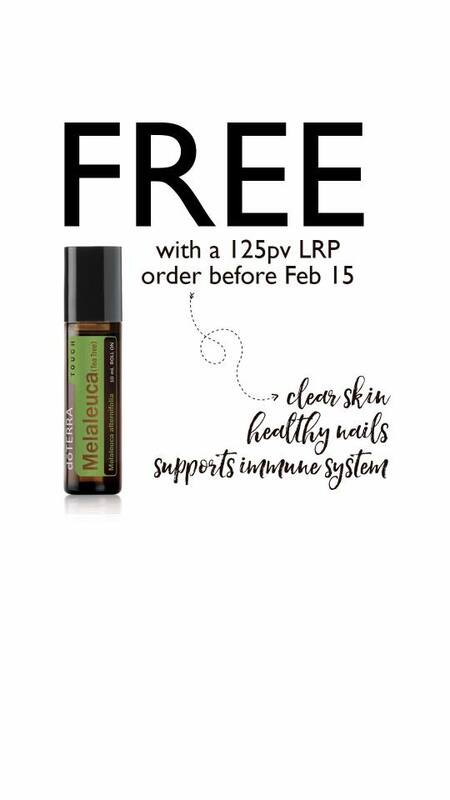 This month doTERRA is offering a free Melaleuca Touch roller bottle. I love the Touch rollers because they are already diluted in a base of doTERRA Fractionated Coconut Oil. This makes it so convenient to apply on your kids, or other family member with sensitive skin. 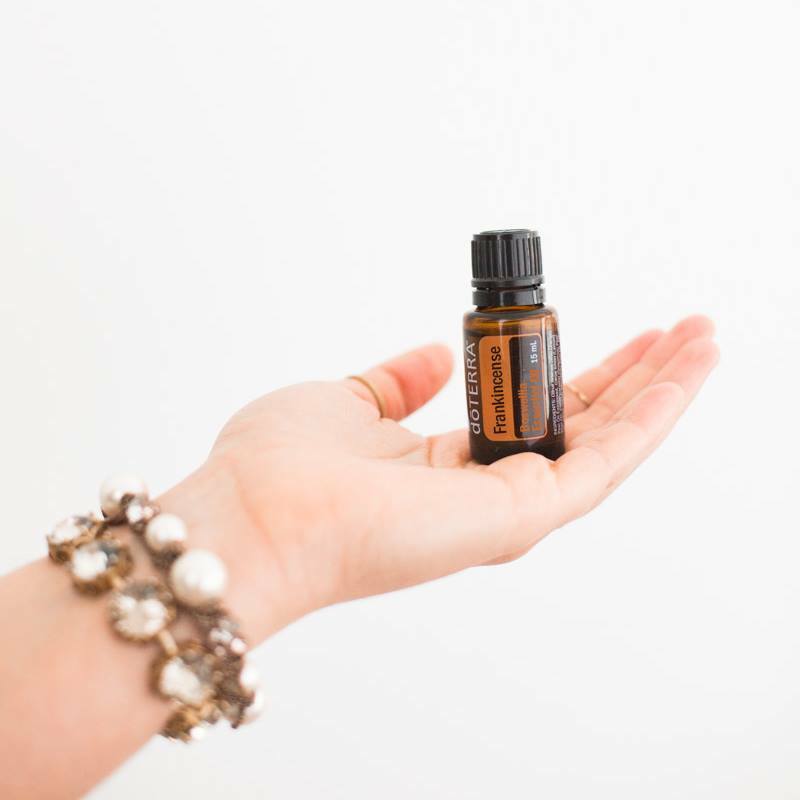 Melaleuca is great for immune support, and we like to roll this oil on our feet daily. You can also use this roller for skin blemishes by easily applying on the area of concern. We also use this roller (along with doTERRA Lavender Touch roller) for any sort of skin irritations. doTERRA also highlights a product every month where you can receive 10% off. Yes, if you have a wholesale account, that is 10% ON TOP OF your wholesale discount. So awesome! 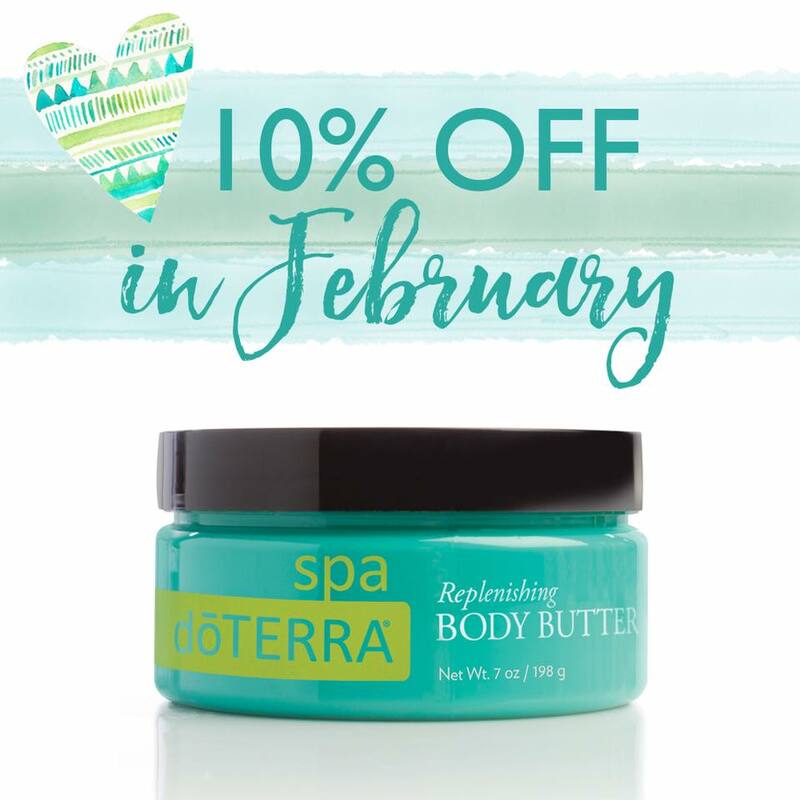 This month they are highlighting their SPA Replenishing Body Butter. Y’all, I have literally had people tell me they can’t live without this product. Honestly, I am usually not one for spa products, but this body butter is heavenly. It’s made with shea and cocoa butter which are known for their ability to moisturize the skin. It also has jojoba seed oil and avocado oil that are praised in the skin industry for their ability to soothe and nourish your skin. Of course, this body butter in infused with the doTERRA essential oils: Wild Orange, Douglas Fir, and Frankincense. You can’t find a body butter more luxurious than this one. It would make a great Valentine’s Day gift for your special someone! doTERRA has extended their New Year, New You (NYNY) promotion. 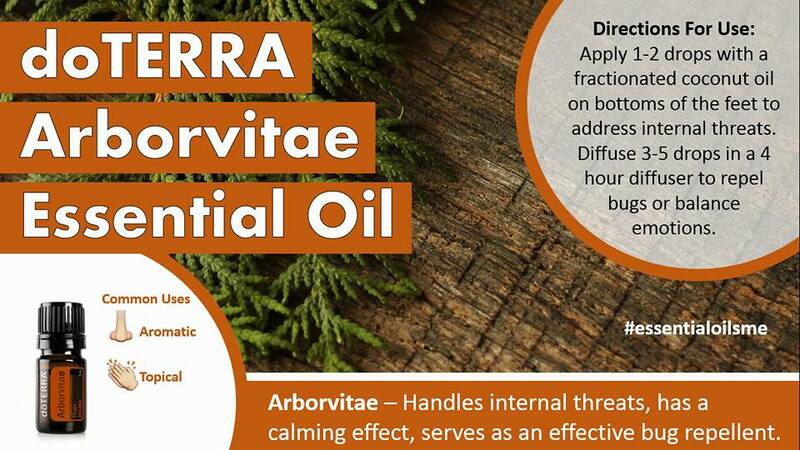 This is for those of y’all that have been wanting doTERRA essential oils, but haven’t made the plunge yet. Here’s the skinny: When you enroll as a Wholesale Customer with at least 100PV order (basically any starter kit), and join the Loyalty Rewards Program for extra discounts and free product (with a 100PV order in March) doTERRA will give you 100 PV to redeem for any essential oils of your choice! You’re getting $100 in free doTERRA essential oils (or other products) of your choice. It’s a pretty sweet deal! Go to https://www.doterra.com/US/en/site/amandagerber/join-and-save to get started. Which one of these promos are you taking advantage of this month? 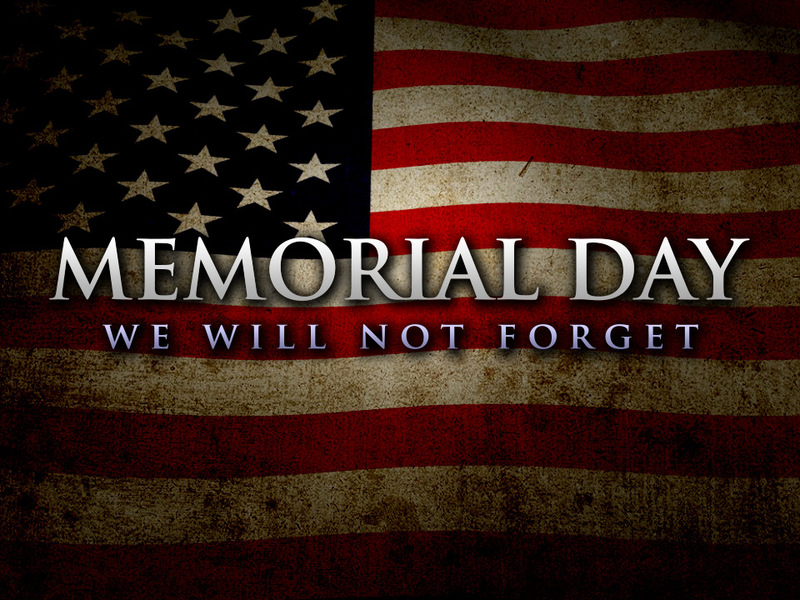 Share below in the comments! Hey y’all! Happy New Year, and I hope you guys ended 2017 with a bang! I can’t believe 2018 is here already, and I want to help get y’all set up for success and health this year. Today I wanted to chat for a few minutes about doTERRA’s January promos and how your health can benefit from these amazing offers. Here we go! Free Frankincense: Say, what?!? doTERRA has extended the promotion for a free Frankincense (my favorite essential oil). You have until January 15th to get a free Frankincense with a qualifying order of 200PV or more. Frankincense is so good for so many things: immune support, digestive health, mood support, brain health, and MORE. It’s a great time to stock up on your favorite doTERRA essential oils and supplements. Check out my previous post on Frankincense to learn more about the benefits of this oil. Product of the Month (POM): Here’s the skinny on the POM… Every month doTERRA offers a FREE product to their Loyalty Rewards Customers. If you are currently on the Loyalty Rewards Program, and you place a 125PV order (so $125 in essential oils) on or before the 15th of the month, doTERRA sends you a FREE product as a thank you. The product changes every month, and this month it is Wild Orange. Wild Orange is always a crowd pleaser. I like to diffuse it in the mornings with Peppermint to wake me up and keep me alert and focused. Wild Orange is also really good at supporting your digestive system, and keeping you in a happy mood. 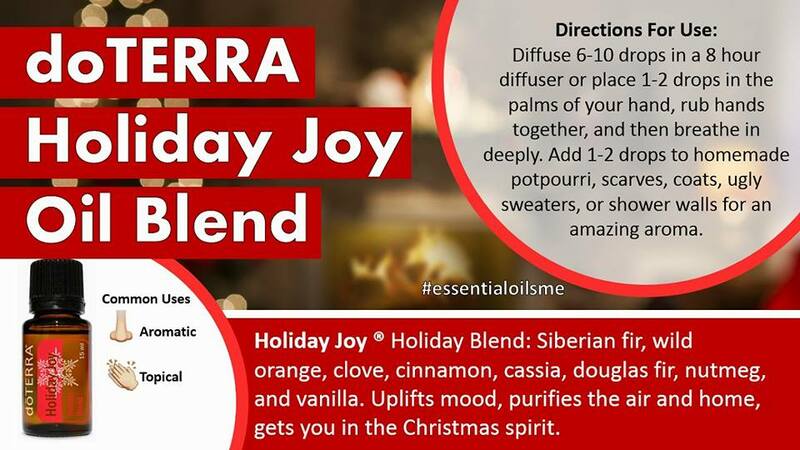 10% off Product: Also every month doTERRA will highlight a featured product and have it at 10% off. Anyone can purchase this product at an additional 10% off. This month it is their TerraGreens. 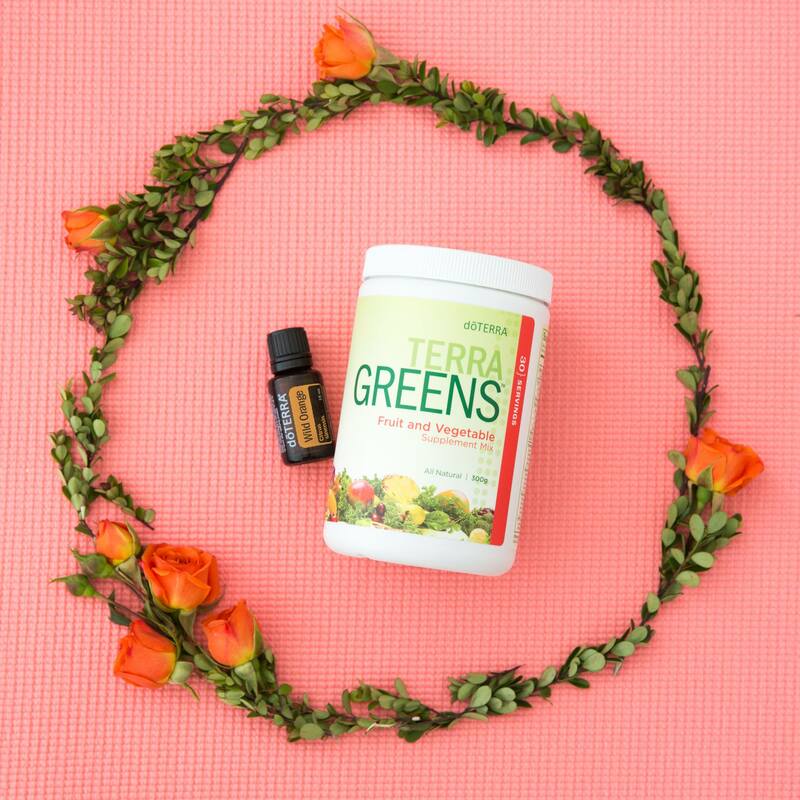 TerraGreens is a blend of whole food fruits, vegetables, super foods, and doTERRA essential oils. Adding one scoop of this to your daily smoothie will help ensure your body is getting tons of nutrition to function properly. It’s a great way to get veggies in your kid’s diet if they aren’t usually open to eating their vegetables. New Year New You (NYNY): Y’all, if you still are not a Wholesale Customer with doTERRA, now is the PERFECT time to get started. January is usually the month people are hyper focused on their health and nutrition. So to assist you in your desire to make 2018 a healthy year, doTERRA is offering 100PV (so equivalent to $100 in essential oils/product) to new wholesale customers with a qualifying order. I’d love to hear from you. What’s one of your health goals for 2018? 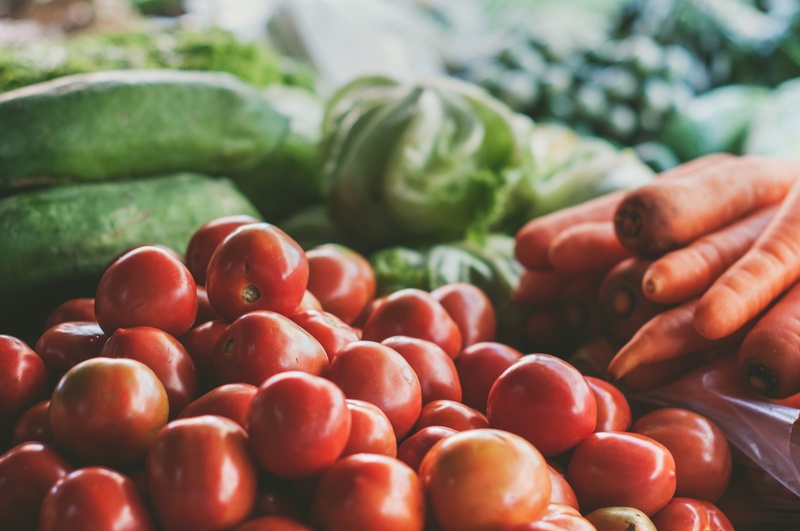 Simplify Food Choices: The End or the Beginning? I had multiple people ask me why I gave myself a clean eating challenge. My main goal was and is this: for my health, and for my family’s health. I didn’t do it to lose weight or fit in a certain dress size. I didn’t do it with hopes to fit back in my pre-kids jeans (those days are long gone. A 30 year old who has had 4 kids does not need to be in a size 0 blue jeans). I did this for my health, and from there flowed different objectives I wanted to accomplish. I wanted to be more mindful of what I put in my mouth. Many times I felt like a hypocrite (as I should) because I would deny my kids ice cream, but then bust out a pint when they went to bed. I noticed there were times I just drifted towards the pantry, not even because I was hungry, but just to see if something caught my eye… almost like I was treating food like entertainment. I realized I wanted to change my mindset about food: I want food to be enjoyable, but I also want it to serve a purpose. I want food to fuel and heal my body. I wanted to create better habits. I mentioned in the beginning, so much of what goes in my mouth does so out of habit. What I also realized was so much of what I make is also habit. I’d like to think of myself as a pretty healthy person, but I have to admit I got a little lazy when it comes to preparing lunches. Most days when I pack my kids’ lunch it’s a peanut butter sandwich and a piece of fruit. Not terrible, but not amazing. I realized I need to work on lunch, and plan on buying a few containers that would be conducive for them to take veggies and hummus to school instead of relying on breads to fill them up. Please help! What are some of your favorite containers for your kid’s lunch box? So, the results… Do I feel better? Sure, but I can’t say I notice a drastic difference. Now, this could be because I ate healthy about 70% of the time, or maybe I need to do this for 90 days or longer to notice a huge shift. But, I do feel better. It’s easier for me to wake up in the mornings (mostly) when my alarm goes off at 5:00AM (another habit I’m starting). I’m also pooping more. I go about twice a day without any effort, so that’s nice. I did lose about 4 pounds, also nice. I’m convinced I’m still addicted to sugar and bread because I still think about both often. Although, I don’t miss dairy… which is kind of funny because I used to tell myself I think I could easily go vegan if I didn’t have to give up cheese. 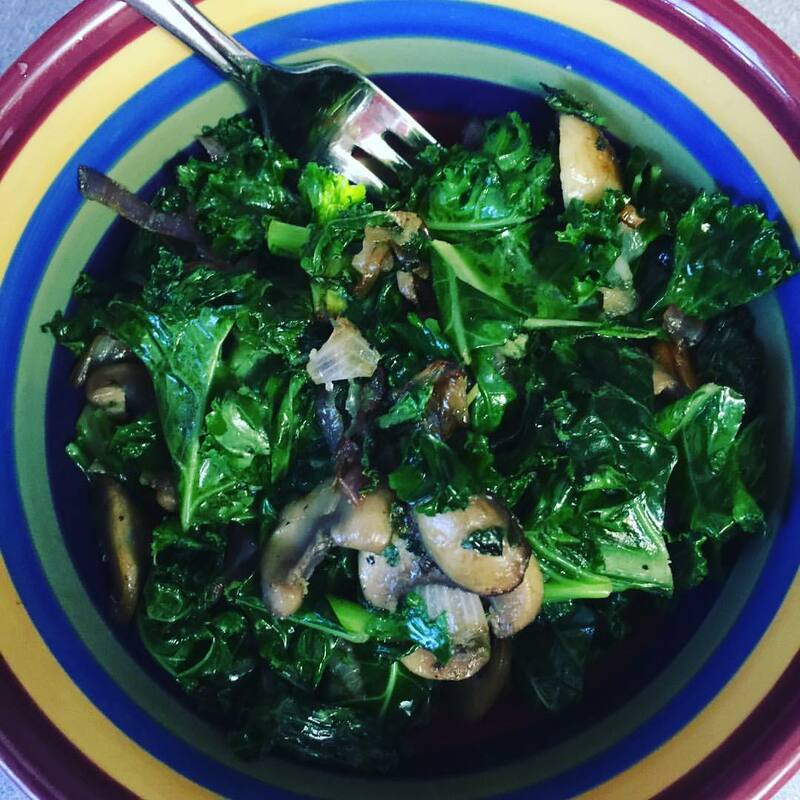 What’s next for me in my food journey? I honestly am not sure. I’m doing more research, which mainly means watching a ton of YouTube videos (my favorites right now are Kris Carr and Dr. Axe which is kinda funny because they have 2 different views) and Netflix documentaries (Hungry for Change and Food Matters will rock your world) while I’m washing dishes and doing laundry. I do think I’ll be vegan one day. I’ve already made small steps in that direction, and I think that’s how it will happen: one small step after another instead of stopping all animal products cold turkey (I had to add that pun in there!). Ok, I need some feedback while I’m still on the fence about where to go from here. What’s your food philosophy? Why did you choose your path? It was just there. Staring at me. In all its mac and cheese gloriousness. It was saying Eat me. Eat the mac and cheese. I’m cheesy, I’m gooey, I’m somehow organic even though I came out of a box… I’d been having this argument with myself all morning. I fought with the flour tortillas that I used to wrap my sons’ tacos in, I stared longingly at my husband’s toast that was soaking up the yolk of his egg, and I argued with Annie’s Organic Cheddar shells and cheese. And I won, y’all. I thought for sure I’d be defeated, but I wasn’t, and I came up with a yummy warm salad to combat my hunger after defeating the mac and cheese. I looked in the fridge, but I didn’t want your typical cold salad. I instantly came up with this simple, but delicious warm salad. The best part? It only took 10 minutes from start to finish. You need to try it, because it will change your life, or at least your vegan lunches. 2. Place the sliced onions in the pan. Season with salt and pepper. 3. Once the onions are translucent, add the mushrooms. 4. Once the mushrooms are softened, add the kale. 4. Sprinkle with garlic powder while the kale is softening, and add more salt and pepper if needed. 5. Enjoy your masterpiece and give yourself a pat on the back for turning down the mac and cheese. 1. This recipe serves 1 person. Double or triple the recipe as needed. 2. Use this as a base for your warm kale salad. Get creative with your add ins! 3. Consider adding other seasonings like red pepper flakes or smoked paprika. 4. If you’re not a vegan, top with crumbled gorgonzola cheese. 5. If you’re not vegan or vegetarian, cook chopped bacon with the onions. Try it out, and let me know what ya think! And help me out, what’s your favorite vegan lunch?